Is TURN’s Relationship with California Utility Commissioner Mike Florio More Important than Consumer Protection? Checks and Balances Project did something yesterday we haven’t done before: we requested records from a well-known consumer protection nonprofit. In a letter to California’s The Utilities Reform Network (TURN), we asked the organization to voluntarily provide communications records with Mike Florio, a public utility commissioner under fire for ethical misconduct who had been its employee for decades. To its credit, TURN went to court to force the release of emails between the CPUC and PG&E, the state’s biggest utility. The 65,000+ emails that were ultimately released show a pattern of coziness and possibly illegal behavior that then-CPUC President Mike Peevey had with utility executives. Peevey was not reappointed for a third term in part because TURN repeatedly excoriated Peevy. You can read some of the searing news coverage here, here, and here. In fact, our analysis of media coverage since January, 2011, found 20 unique, negative quotes from TURN about Peevey, including five calls for his resignation. Mike Florio was a top lawyer at TURN for 33 years before being appointed by Gov. Jerry Brown to the CPUC in January 2011. Consumer advocacy and reformers rejoiced when he was chosen and California’s utilities were concerned. But the very emails that TURN went to court to have released have led to a series of revelations about Florio, including a federal grand jury investigation. TURN, however, has been notably muted about its former star attorney. In fact, in our media analysis, we were able to find only four unique comments by TURN, all moderate and forgiving in tone, about the ethical challenges and possibly illegal behavior of Commissioner Florio. This is a curious position for a reform group that was so aggressive with one commissioner, but not another. It leads to an important question: Is TURN’s personal relationship with Florio more important than consumer protection? Mike Florio volunteered with TURN right after graduating from New York University law school in 1979 and was its first staff attorney. He worked there for 33 years, becoming a widely respected expert in utility issues, before joining the commission where his term runs through 2016. But once he joined the CPUC, things seemed to change. Florio was assigned by then-President Peevy to oversee an investigation into the natural gas pipeline disaster in Sept. 2010 in San Bruno, California, that destroyed 38 homes and resulted in eight deaths. In 2012, a state investigation revealed that PG&E had diverted more than $100 million in gas safety and operations money collected from consumers and spent it for executive bonuses and other purposes. In 2014 and early 2015, emails released by PG&E began to reveal disturbing behavior between former Chairman Peevy and Commissioner Florio with the utility. Florio intervened to help PG&E get the judge it wanted to hear a $1.3 billion rate-setting case to pay for safety measures after the San Bruno disaster. When an administrative law judge was assigned that was not to PG&E’s liking, Florio wrote to PG&E regulatory executive Brian Cherry, “I’m horrified!” and “I’ll do what I can” to reassign the judge the utility wanted to avoid. Several of the emails released demonstrate a direct line of communications and appearance of cooperation between Florio and Cherry. The PG&E lobbyist was fired following the release of emails. PG&E was later fined $1.05 million for judge-shopping. In April 2014, PG&E was indicted by the federal government for alleged criminal violations. In Sept. 2014, CPUC levied a $1.4 billion fine against PG&E for safety violations. One month later, Florio recused himself from PG&E rate cases. In December, San Bruno’s City Manager called for his resignation. In February 2015, a new email revealed that Florio circumvented rules in 2012 that requires commissioners to meet with all parties of a rate case when PG&E’s Cherry asked to meet with him. Commissioner Florio scheduled their meeting just three days before the corresponding CPUC hearing, leaving no time for the cities of San Bruno, San Francisco, or TURN to respond. At the hearing, Florio proposed a last-minute change in PG&E’s favor that resulted in a $130 million Christmas 2012 gift for the utility. Florio claimed he was unaware of CPUC rules against back-channel communications with utilities, despite his years as a supervising attorney for TURN. “Amazing how I’ve become ‘an apologist for PG&E’ in just three short years, isn’t it?” Florio wrote to PG&E’s Cherry. Then in March 2015, a new email was revealed that had been uncovered by former San Diego City Attorney Michael Aguirre, who is suing the CPUC over San Onofre nuclear power plant shutdown costs. It told of how Commissioner Florio held a previously secret, regular 1:30 Wednesday call with the management of Southern California Edison, majority owner of the San Onofre plant. In another, Florio discussed a rate-setting case with Edison Vice President Akbar Jazayeri , when the executive asked if their interaction was allowed under rules that prohibited ex parte communications. “Thank you Akbar – I was just trying to follow through on the training you’ve given me over the years! !” Florio insisted to him it wasn’t a problem. 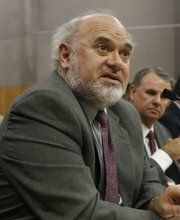 Sen. Jerry Hill, D-San Mateo, said Florio should know better than to communicate in private with utility officials. He has called for him to recuse himself from rate cases involving SoCal Edison. As part of the San Onofre nuclear power plant shutdown negotiations, Florio was present at two previously secret discussions during which former President Peevy lobbied Edison executives to contribute $25 million toward greenhouse gas research at UCLA, where Peevy had been named to an advisory board. On May 25, Commissioner Florio was removed from as the supervising commissioner from the San Onofre investigation. TURN’s stated mission is to protect consumers. When it comes to a member of California’s powerful public utility commission, utility misconduct is incompatible with consumer protection. That’s why we are surprised at TURN’s light treatment of Commissioner Florio’s pattern of ethical lapses. It is also why we invite TURN to voluntarily release all of its email and text messages with Florio since he took office. We recognize that there is no legal requirement for TURN to provide the communications we have requested. However, should it become necessary, we intend to use the California Public Records Act force their release.